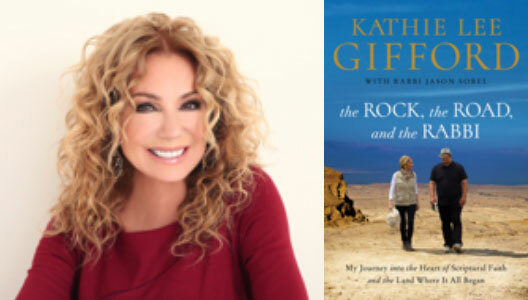 Now you can walk with Kathie Lee Gifford on a journey through the spiritual foundations of her faith in her book, The Rock, The Road, and The Rabbi: My Journey Into the Heart of Scriptural Faith and the Land Where It All Began. Kathie Lee will be interviewed by Larry Davidson, former host of Davidson & Co. and Writers on the Vine. Kathie Lee will mingle with everyone at 5 pm for a cocktail hour and wine tasting. When Kathie Lee decided that she wanted to craft a wine, she looked to Monterey as that perfect intersection of ultra-premium quality and affordability, and welcomes you to partake in the fruits of her labor. At 6 pm we’ll move to the theatre where Larry Davidson will interview her and a Q&A will follow. The $30 ticket price includes a pre-signed book of The Rock, The Road, and The Rabbi: My Journey Into the Heart of Scriptural Faith and the Land Where It All Began. GIFFT wines will be Madison Theatre’s wine of the month for both February and March, and Turn of the Corkscrew, Books & Wine will also be offering it in their store!